Frederick, MD (BUSINESSWIRE.COM) – Nanotherapeutics, Inc., an integrated biopharmaceutical company with a focus on development and manufacturing, announced today the opening of a new, 4,800 square foot office, located at 8490 Progress Drive, Suite 450, Frederick, MD. 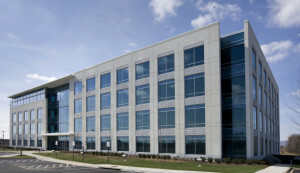 The office, established to better support the Company’s U.S. Government contracts, is within RiversideFive, a four story, Class A office building, developed and managed by Matan Companies. With headquarters in Alachua, FL and a clinical team located in Durham, NC, close to many of the most prominent contract research organizations, Nanotherapeutics now has three, strategically located offices. Nanotherapeutics’ new office is just five miles from Fort Detrick, which houses five cabinet level agencies, including the Department of Defense, as well as centers for cancer and AIDS research, including the National Cancer Institute. The office is also approximately 50 miles from Washington DC, providing easy access for Nanotherapeutics’ U.S. Government clients. The Company will benefit from its proximity to the area’s growing biotechnology and U.S. Government presence. The office is headed by Dr. Robert V. House, Senior VP, Government Contracts for Nanotherapeutics and will be dedicated to the advanced development of Nanotherapeutics’ biodefense-related product pipeline, including products covered by the Company’s existing U.S. Government contracts.